Dear Cedric is available in all formats (hard cover, soft cover and e-book) from Friesen Press, Amazon.com, Chapters.ca and by order from more than 25,000 bookstores world-wide. It is distributed by Ingram. "Grandma. What presents did you get for Christmas when you were six?" The word it invoked was ‘memory’. What evolved from that incident turned into a 100,000 word memoir of my childhood--turned upside down during the Second World War. In 1940, when Winston Churchill warned Britain that the threat of a German invasion could not be ignored, a massive evacuation plan sprang into action. The nation’s children were to be sent to any safe corner that could be found, either at home or abroad. Within weeks, tens of thousands of children ranging in age from three to teens, were shipped abroad to Canada, Australia, America, South Africa. Likewise, tens of thousands were squirrelled away to what were considered “safe” havens within the United Kingdom. This exodus was not limited to individual kiddies and their siblings, but included those bastions of learning, public schools, which were uprooted and shifted lock, stock and text book to country mansions, hotels and the like, buried deep in the countryside. 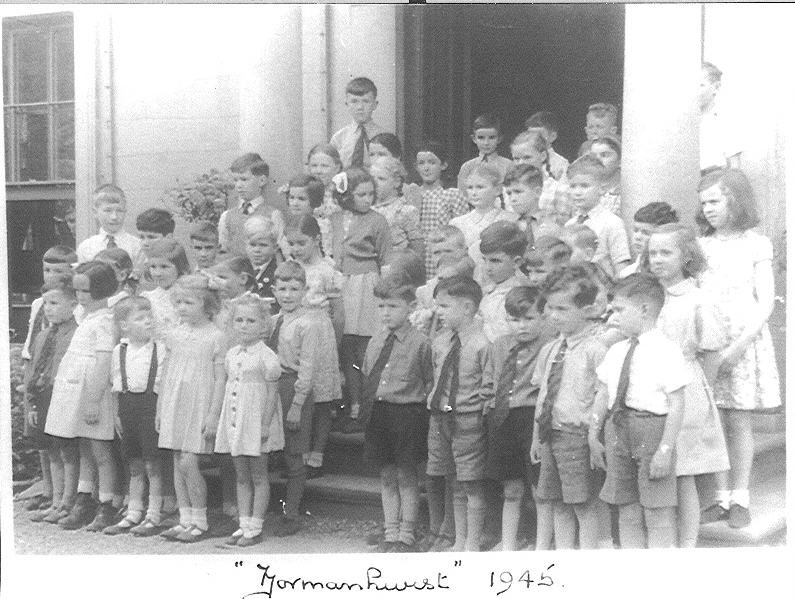 Smaller, preparatory schools also packed up their Beacon Readers and scurried away to find country estates large enough to accommodate their needs. For those parents who could afford it, a hundred guineas or so would buy a year of safety for their offspring, and peace of mind whilst they went off to defend their country. I was one of those fortunate children, although I would question the word 'fortunate'. 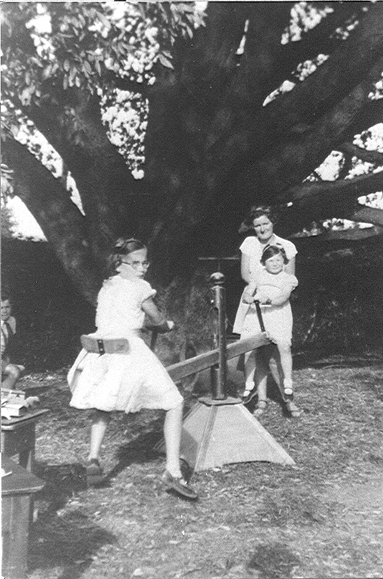 With a trunk-load of clothes and the required bedding, I was (for the want of a better word) dumped into the capable hands of Miss Audrey Joan Baker, principal of "Normanhurst", her private preparatory school, which she had relocated to a manor house in Shropshire, close to the Welsh border and where the war seemed a million miles away. I was six years old and, despite the promise that "the war would be over very soon", wasn't reunited with my parents until I was eleven. There were occasional visits from my mother; summoned when I either ran away, or was seriously ill. Memories of those years, although fractured chronologically, remain vivid in my mind to this day. As I wrote them down, other memories surfaced and were reinforced when I revisited 'Normanhurst' fifty years later and discovered that time had not distorted, nor falsified the experiences of those five years-- borne out when I accurately identified a squeaky floor board, and a fish-shaped gouge in the wainscotting. My memories also focus on the woman who shaped those childhood years, and to whom–in retrospect–I owe far more than I ever could have envisaged at the time. 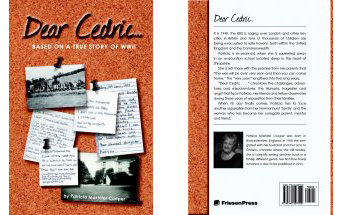 A preview of Dear Cedric... can be found at Friesen Press via this Link. Dear Cedric is available in hard and soft cover and as an eBook. Audrey Joan Baker was a woman born before her time. A Classical degree from Oxford, she was primarily an educator, but had the wisdom and compassion to mentor and shape the characters and futures of her charges in a unique fashion. Sadly, as a child, I never appreciated her. It is only through my adult years when my memories hark back to those years, that I recognise the teachings and principles she instilled into me, undoubtedly sparked my love of the classics and literature. I was in touch with Audrey Baker’s family, and they graciously read and approved my manuscript. 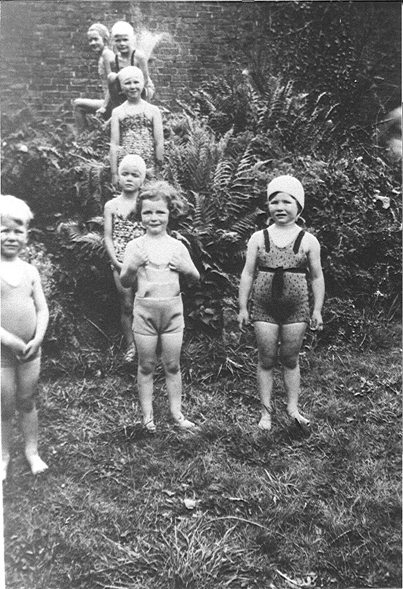 They, and the owners of the Manor House, also gave me original photos taken during the era of which I write; I was thrilled to identify myself and some friends in a couple of them. “Dear Cedric...” is based on recollections of my time at Normanhurst and the mandatory letters home, which my mother kept. I say “based” because although some of the characters (including Miss Baker) are truly chronicled with love and respect, other players are, for obvious reasons, composite characters, all of whom carry an element of true anecdote. Some names have been changed, including Cedric, in order to protect his family history, but the antics and adventures we all got up to, were very real–as were the inescapable angst and tragedies of war. Snuggled in Mummy’s lap, I feel warm and safe. She is reading my favourite Rupert Bear story. A loud clanging broke my perfect dream. Someone was poking me, pulling at the eiderdown, disturbing my nest of cosiness. "Wake up! That’s the getting-up bell." Ann-the-Bank pulled at the covers around my face. I peeked out. All I could see in the still-dark room was the outline of a large lady framed in a pale patch of doorway. Now the bell was clanging inside the dormitory. "Come along, all you lazy bones! Up you get, and that means all of you. Including the new person." The bell landed on the end of my bed, just missing my toes. The large lady unlocked the blackout shutters and swung them back. Early morning sunshine flooded the room. Satisfied everyone was awake, she marched out still clanging her bell. Ann-the-Bank’s pink flannelette nightgown lay in a rumpled heap on the floor. She was already half-way wriggled into her Liberty bodice and knickers. "That’s Mrs B, Miss Audrey-Joan’s mother. She sees to our welfare. C’mon. Get up. We can’t be late for breakfast." "That’s what we call Miss Baker, silly. Now GET UP!" Scrambling out of bed I pulled on the clothes I’d hung through the foot rail of the iron bedstead the night before. Then I dived under the bed, my knees bouncing on the wooden floor as I groped for my shoes and socks. Ann helped me with the buttons at the back of my green and white check overall. "Do you know how to tie your tie?" I slipped the preformed tie over my head and pulled it into place. Ann had turned away and missed the little trick Dilly had shown me. "Of course I can. But I can’t do my hair. Dilly always ties my hair ribbon." "Then brush it and use a Kirby Grip. You do have Kirby Grips, I suppose?" Last night I’d jammed all my things into the chest which Ann and I had to share. I opened the top drawer, grabbed a card of Kirby Grips, pulled one off and shoved it in my hair. "That’ll do. Now, COME ON. And don’t forget your gas mask." Grabbing my hand Ann dragged me out of our attic dormitory to race along the corridor –our progress abruptly blocked by a mountain in a flowered pinafore and Plimsolls. Mrs B. "And might I inquire whether our faces and hands have experienced soap and water this morning?" Before I could open my mouth, Ann-the-Bank answered in a flash. She lied. Ann-the-Bank actually lied. "And our new person? Patricia?" Ann’s fingernails dug deep into my palm. I nodded and looked down at my shoes. "Hmph. Let me see." Mrs Baker’s finger lifted my chin. A pair of terrifying dark grey eyes examined my face. "Hmph. Very well, off you go." We did. Speeding down the two flights of back stairs, our feet clattering on the bare, grey painted wood, gas mask boxes bouncing on our backs, we skidded to a stop in the passage outside the kitchen door. Ann pulled me in behind the last child waiting in a line against the wall. "The queue for breakfast. Follow me and do what I do." First we took a thick white china bowl from a pile that looked as though it would topple over, then stepping up to the huge Aga stove, another strange lady plonked a ladle-full of stiff and steaming porridge into our bowls. Next, a table where Miss Baker smiled at me as she poured a moat of milk around the hill of porridge. "Good morning, Patricia. I hope you slept well. Just follow Ann. She’ll show you where to go." "Yes, Miss Baker. Thank you, Miss Baker." Ann tossed her head again. I followed. She led me into a wood panelled room where three long tables covered with shiny yellow oil cloth, were lined up side by side. There was just room to squeeze between the rows of chairs and benches set around them. One table was already filled with chattering children. Ann pulled at my jumper and pointed to the one closest to the door. Behind the door, stood a three-shelved metal trolley on wheels. The top level, was crammed with cups of the same thick china as the porridge bowls. The middle tier had four rows of jam jars, each labelled with a name and containing, Ann told me, sugar. The sugar levels in the jars varied but none of them was anywhere near half full. Beside the sugar jars, were four rows of butter crocks, also labelled. Each contained a small square of bright yellow margarine and a smaller square of pale butter. On the bottom tier were six plates of thickly sliced bread. "Get your sugar jar." Ann seemed to enjoy telling me what to do. I noticed she didn’t tell anyone else what to do, just me. I found my name, written in spidery capitals, on a dark-brown glass jar with a metal screw top. It was half-full of sugar. "That’s your whole ration for the week. So make it last or you’ll be eating porridge with no sugar on Friday. We get new rations on Saturdays." "The same goes for your butter ration. Four ounces of marg. and two ounces of butter for the whole week. And we get that," Ann jerked her head at the bread, "twice a day. Breakfast and tea." 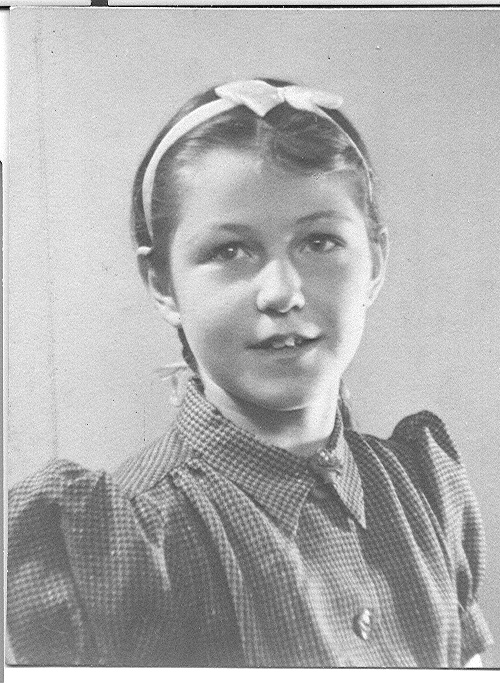 I didn’t know what two or four ounces meant and I later found out that neither did Ann – even though she was seven and had been at boarding school for six months. It was just the size of our butter and margarine rations and had nothing to do with Arithmetic. "Why did you make me hurry so much to get down for breakfast?" I asked. "Because if you don’t get the porridge off the top of the pot, you get the burned stuff at the bottom. Besides, if we eat our breakfast first, we get into the loo queue first, when the lavatories aren’t so smelly." I couldn’t really think of an answer to that so I ate my porridge, which was horrible. I looked around. So many strange faces. They all stared at me and whispered amongst themselves. "Don’t worry,”said Ann. “It’s only ’cause you’re new. They’re waiting for you to cry." "Cry for your mummy, silly. That’s what a lot of them do. Cry ’cause they’re homesick for their mummies and daddies. Then all the others start teasing them. Cry-baby cry! Put your finger in your eye! Cry-baby cry! It gets worse if you cry. So don’t you dare cry." A small skinny boy with red hair and a red nose, was busily stuffing his porridge into his overall pocket. I nudged Ann. "Who’s that, and what’s he doing?" Ann sniffed. "Oh that’s Rowley Smythe. He’s always stuffing food in his pockets and then he puts it down the loo. Nobody tells on him because if he’s made to eat it, he sicks it up in his bowl again and that’s so disgusting. Never sit next to Rowley Smythe. Unless you want him to sick-up on you." I noticed the children sitting next to Rowley Smythe huddled closer together on the bench leaving a wide space between them and him. Rowley was at the end, next to the wall. Rowley Smythe saw me looking at him. He crossed his eyes and stuck his tongue out. Except for the clatter of spoons scraping porridge bowls, the room was strangely quiet. Rowley continued to stuff his overall pockets. One overflowed and globs of porridge dripped onto the floor. I pretended I hadn’t seen. Mrs B again, this time carrying an enormous white enamel teapot. She held it over the tray and poured a continuous stream of tea, slopping from one cup to the next. Under her watchful eyes, we carefully passed the cups of grey-brown tea down the table taking care not to spill a drop. The milk must have been in the cups before she started pouring. Mrs B plonked down a small bowl full of little white pills. I knew what saccharine was. My parents always put it in their tea to save their sugar ration. But, I’d never tasted it. Ann nudged me. "Take one. It’ll save your sugar." I dropped the tiny pellet into my tea. It popped to the surface, fizzled and spread into a blob of white foam. A spoon was passed around the table. I stirred up my tea and drank it down. It had a bitter taste. I made a face. "You’ll get used to it," A girl with long black plaits smiled at me across the table. "You have to get used to it. It’s war time. Are you the new girl that came last night?" "I’m Wanda. You’ll be all right. Don’t let the boys bully you. But if they do, don’t cry." "Oh, I won’t." I’d already decided to keep well away from the boys. After the porridge, tea, and two pieces of bread with a scrape of our precious margarine and a smear of Marmite from a big jar that was passed around, we carried our dishes out to the back kitchen – all grey stone and red tiles. A tired looking woman whose wispy, grey hair and red chapped hands oddly matched her surroundings, stood at the stone sink under the window. She nodded at me as I put my bowl, cup and plate on the pile to the right of the sink. She smiled and flicked a strand of hair from her eyes with the back of a soapy hand. "Knife and spoon in the wire basket, if you please." She looked down at me. "You’re a young ‘un, aren’t you? What are you? Six?" "Well at least you ate your breakfast, which is more than I can say for that other new laddie. Looks like he’s been crying all night." The dish-washing lady glanced over her shoulder and bobbed her head towards a thin, brown-haired boy standing by the back door. "That’s young Cedric, and he’s moping after ‘is mum." She called to Cedric, "Off you goes my laddie. Boys’ lavvy is outside and across the yard. Hurry, or you’ll be last." Cedric used both hands to tug open the brass-knobbed back door leading to the yard. I could see he was going to cry again. "You’ll soon get used to it, my flower. It ain’t that bad. It’s all what you makes of it. Now him," she jerked her head towards the back door, “he won’t make it unless he changes his tune. Now run along to the loo queue and get done. The bell goes for lessons in half an hour." My lavatory performance was inspected and approved by Mrs B who put a large tick against my name on the bathroom register sheet. Another tick for brushed teeth. Back in the dormitory, my bed made to Ann-the-Bank’s instructions, I was ready when the bell clanged, for my first proper day at Normanhurst Preparatory School. Maybe the war will be over tomorrow and I can go home. 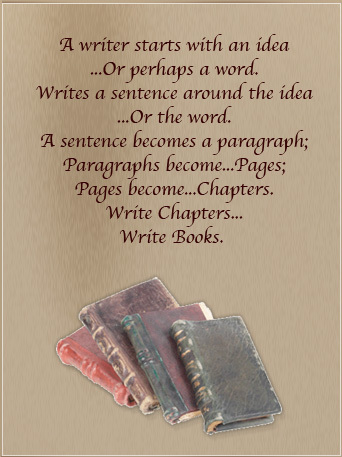 © Copyright 2014.Patricia Mashiter Cooper.All rights reserved.